On 11 March, when Lithuania is celebrating its Independence Day, the Lithuanian Nationalist Youth Union and the Lithuanian Nationalist Centre will hold a march along Vilnius central street from the Cathedral to the parliament building. The organisations published a statement saying that Vilnius City Municipality was addressed on 9 February requesting for permission to hold the march, but it has not been granted yet. 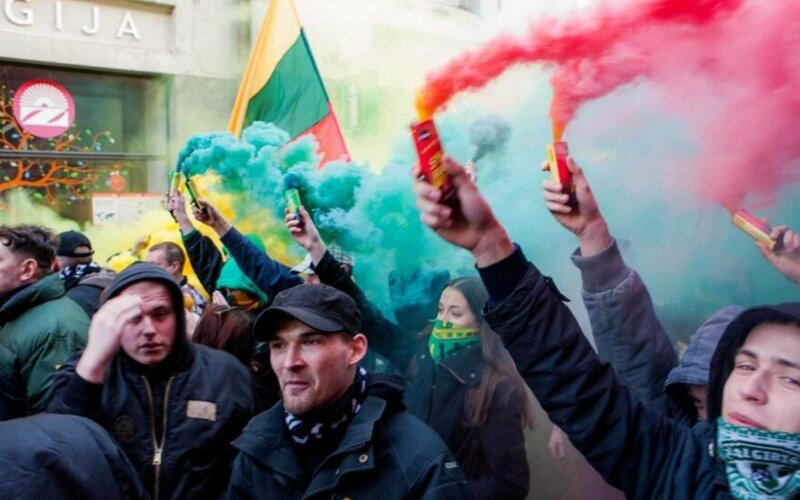 According to Julius Panka, leader of the Lithuanian Nationalist Union and the Lithuanian Nationalist Youth Union, the event will take place regardless of whether a permit is received. Unauthorised nationalists' event was held in 2013, whereas in 2014 the municipality granted the permission. In the past, the event has attracted considerable controversy due to its extreme nationalistic nature. Panka told ELTA news agency that Ukraine's Right Sector representatives were invited to join this year's march, as well as right-wing activists from Latvia, Estonia, Belarus and Great Britain.